Our client is a Silicon Valley based company, which is the leading provider of enterprise software for managing top-down initiatives to improve financial performance and achieve operational excellence. They do this by providing end-to-end solutions to manage, track, and report on Enterprise Strategies, Processes, Projects, Programs, People, and Benefits. Leading global corporations like Credit Suisse, France Telecom, McKesson, Motorola and Xerox rely on our client’s software offerings to manage strategy, process and project portfolio execution for initiatives like Six Sigma, Lean, CapEx, IT, New Product Development and others. Our client’s enterprise customers had the first version of the software called Enterprise Track, which tracked the customers’ basic business processes, which was quite mature. Many of these customers had been suggesting ways to not only improve the current product, but also expand the functionality to other enterprise functions. Our client was looking for a suitable partner to not only enhance the flagship product EntrepriseTrack, but also to expand the footprint to incorporate business aspects of a variety of sectors. Of course the idea was to increase the customer base, in addition to expanding the current customer installations. With resources who would comprehend client’s proprietary core Java based development framework in shortest possible time and contribute in development. Our client’s core team had built this framework to speed up the development of enterprise applications following a certain design pattern. Who understands the domain of project management, resource management, resource planning and has the ability to provide valuable suggestions and inputs. 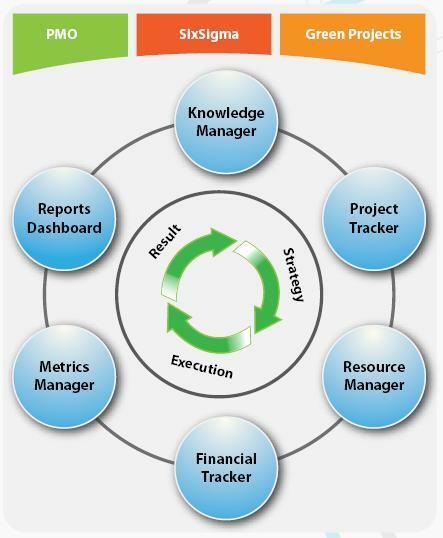 Client’s initial focus was on six-sigma project management. 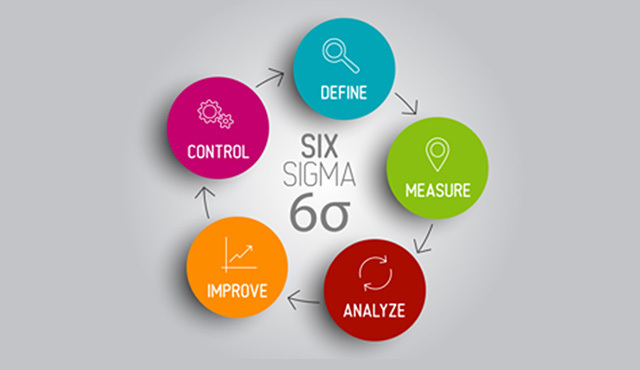 Even though Xoriant resources had prior domain knowledge in the project management domain, understanding and implementing the nuances of six-sigma specific features was a challenge, given that there is lack of widespread knowledge about that subject. Understanding our client’s proprietary development framework used in the product development was a challenge since there were some known and some unknown bugs with that environment, with limited documentation and example illustrations. Ramping up new resources and replacements was always time consuming. Understanding the nuances of the existing product architecture, design and functionality (especially the way it was implemented in the current customer environments) was very important for both expanding the product footprint and seamlessly incorporating the existing client environments as well as expanding the product functionality. Working in a multi-vendor environment was challenging in terms of coordination especially when the environment was very dynamic. Our knowledge management infrastructure was very helpful in terms of assembling and disseminating the knowledge. Ensuring that the structure used for developing any feature is scalable and adaptable to future changes was a major challenges, especially since the development was done using client’s proprietary development framework and thus could not use the widely used techniques used in industry standard environments like J2EE. Developing features with minimal shelf life posed a unique challenge of delivering solutions without any possible errors. Xoriant’s team was instrumental in providing suggestions and helping client architects and product managers define “Product Roadmap” from functional and technology perspectives. Xoriant’s team contributed in product management along with client’s resources to decide scope of each release with an objective to provide as many features as possible for each release. The teams adopted Agile methodology, much before this methodology was widespread, thus providing visibility to our client management at regular frequency. In many cases Xoriant team assumed the ownership for new features from design to implementation, while adopting the best practices including publishing development guidelines, proper documentation and conducting peer reviews, lead reviews and peer testing for all deliverables. We adopted Bugzilla tool to enable common tracking of internal issues, interfacing with our client’s internal quality tracking systems. Xoriant teams implemented and customized our central knowledge repository for sharing knowledge related to product, domain & customer specific processes not only for our teams, but also our client’s internal teams as well as their other partners’ teams. This allowed continuous knowledge sharing within team members, to ensure all team members have requisite knowledge about the product and they can contribute in variety of modules. Xoriant took the initiative in organizing training on six-sigma domain from industry experts, so that our team members could add the requisite value at all points. Even though most of the development was done at our India development center, onsite (US) rotation was adopted for all team members, thus enabling periodic knowledge exchange between different team members and also the customers. Xoriant teams took the initiative in developing Heat Map Reports which gave detailed data on planned and actual utilization of the resources across a given time period. These reports were instrumental in winning some of the deals for our client. Conceptualized, architected and implemented a “Voice of Customer (Survey)” module, which was one of the unique functionality offered by the etrack product. Provided functionality for Data Import, which enables customers of ETrack to import the legacy data into ETrack, thus retaining their past history. Designed and developed the Finance Module, which gives ability to the users for tacking finances at monthly or yearly basis. Conceptualized and developed the custom fields for the key entities like Projects, Users, Ideas and Proposals. These fields give lot of flexibility to the customers as they use the product. Facilitated integration with a third party tool for giving highly user friendly listing grids and with third party Java Script libraries like YUI and ExtJS. The architecture is standard three-tier web architecture. The client proprietary framework is deployed in the application server. Increased product stability and acceptance by incorporating new PMO functionalities which includes rollup of timesheet specified efforts/costs into roadmap and finance modules, heat map report improvements, etc. in existing enterprise software which allowed automation of legacy data import and customer surveys.